Felton Brushes manufactures some of the highest quality pipe deburring brushes on the market. We use only the highest of quality North American sourced materials, and manufacture the brushes right here in Hamilton Ontario. The results are longer lasting brushes, with better deburring prowess, which translates into industry leading value to our customers. 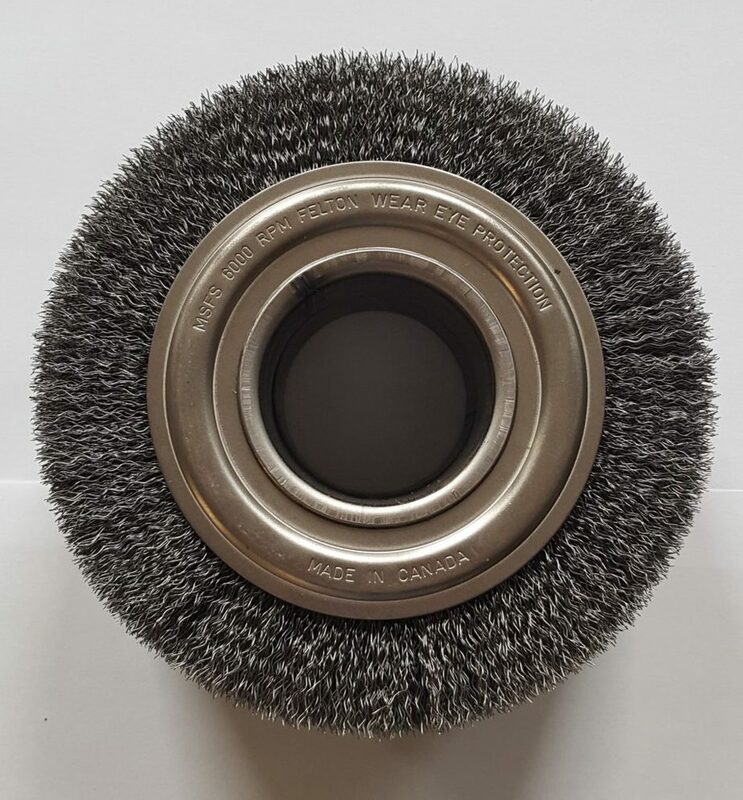 Felton Brushes can manufacture to any customer specifications and features to meet the needs of any deburring application or machine. Anything from diameter, length, or filament can be customized to fit customer specific needs. Need custom specifications? Felton Brushes can offers custom design assistance. The K1204 is an example of Felton’s steel knotted pipe deburring brushes. The brush has a 12″ OD x 2″ ID, and can be manufactured to any length depending on what the customer requires. The brush is highly effective at heavily deburring thick, hard metals. The M136010 is an example of Felton’s crimped wire pipe deburring brushes. The brush has a 6″ OD x 2″ ID, and can be manufactured to any length depending on what customer needs. 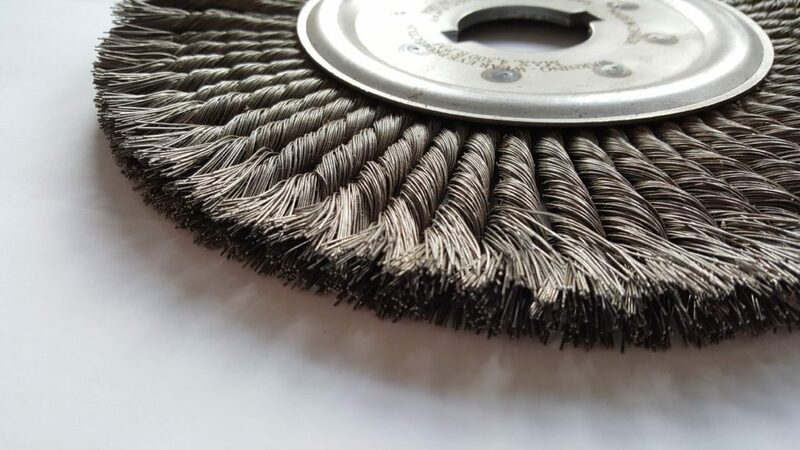 Felton’s crimped wire deburring brushes feature high density, high quality wire, to optimize deburring capabilities. The information contained in this document is based on tests which are believed to be reliable. Since actual conditions of use may vary and are beyond the control of FELTON the product’s specified characteristics cannot be guaranteed and are offered solely for the buyer’s evaluation and verification. There are no warranties, representations or conditions, expressed or implied, of any kind, including, but not limited to, merchantability or fitness for a particular purpose made by FELTON of its officers, employees or affiliates, in connection with the sale of the products described in the document. Accordingly, the purchaser and each user assumes all risks and liability in connection with their use of such products. Nothing contained herein is to be construed as permission, recommendation or inducement by FELTON to use any product or process so as to infringe or conflict with any patent. Further, it is the user’s obligation to utilize this material in full compliance with health, safety and environmental regulations.